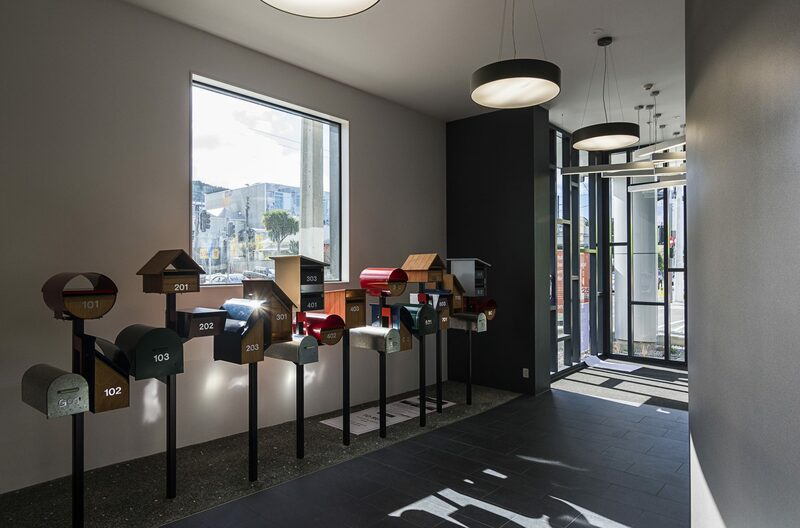 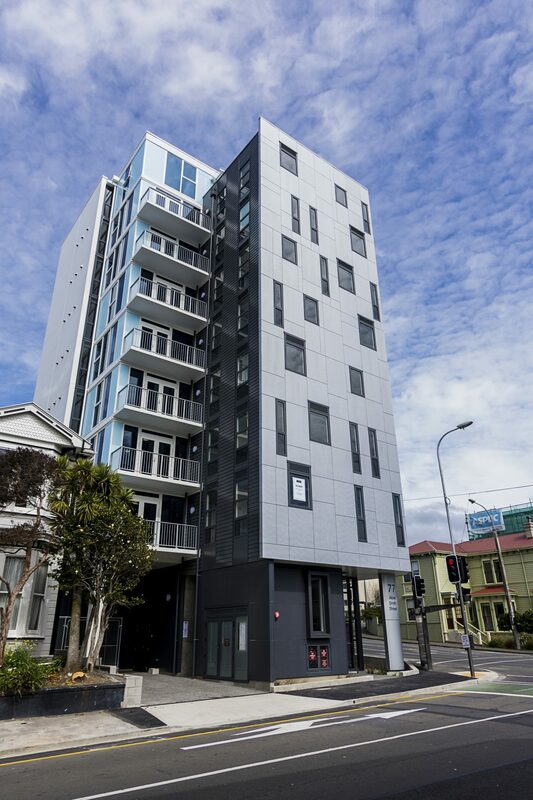 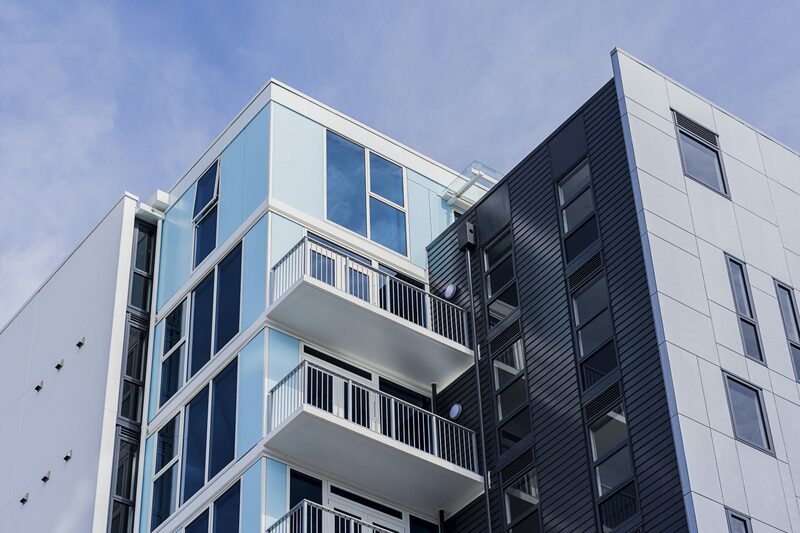 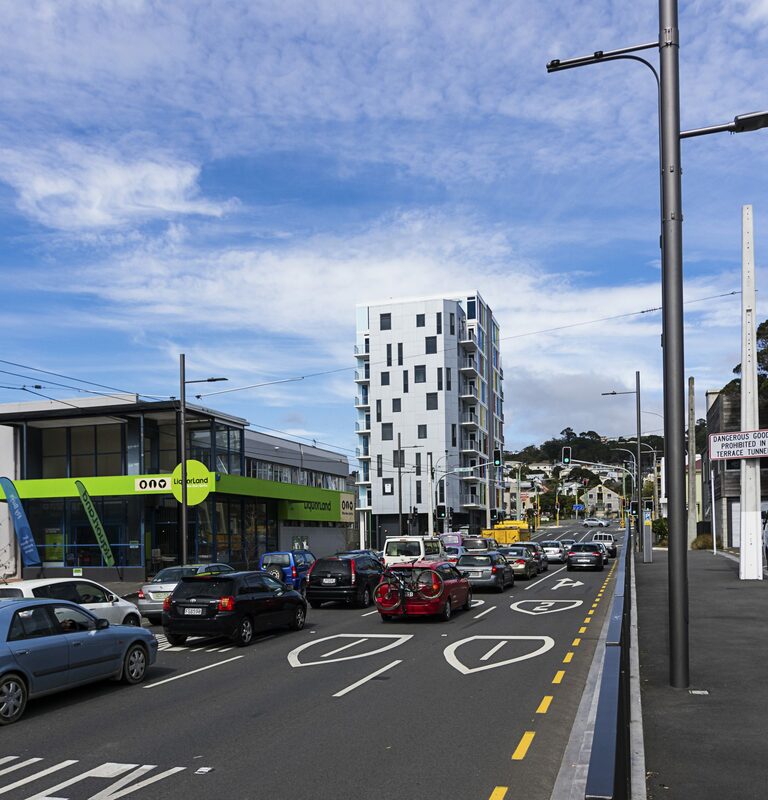 The recently completed Abel Smith Street Apartments, provides much needed high density housing to the south of Wellington’s CBD. 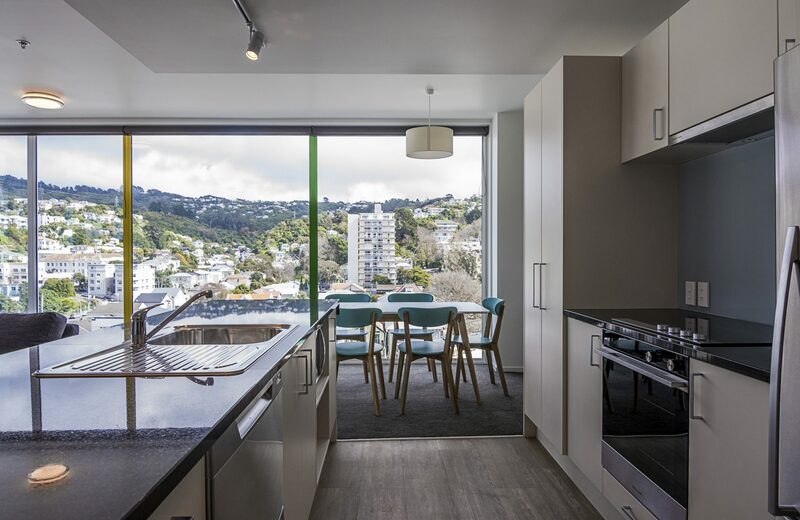 The apartments are catered toward young professionals with a combination of configurations from three to four bedroom layouts. 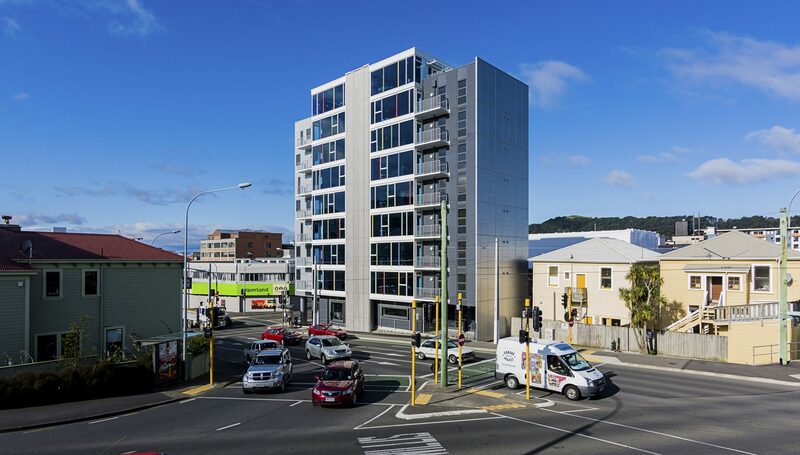 The design and aesthetic of the building was to reflect the urban fabric below, with a palette of aluminium panels, charcoal weatherboard cladding, white precast concrete and super blue glazing punctuated with vibrant primary coloured aluminium fins to the glazing mullions. 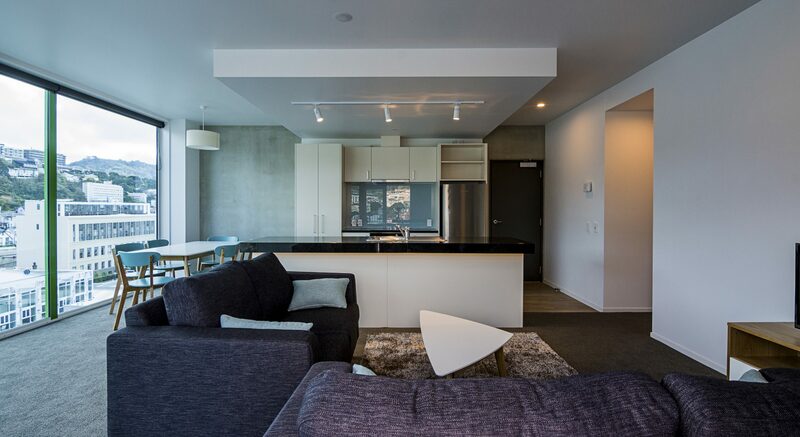 Internally the apartments feature a neutral palette of crisp white walls, charcoal carpet, exposed raw precast walls and warm timber laminate flooring.